Review comments from Amazon and Goodreads from readers of Out of the Storm. Just West of Clovis – Out of work and luck, a lone cowboy runs into a foot sticking out of the dirt. When the foot starts moving so does the most miraculous story you’ll ever hear. ABSOLUTELY HILARIOUS!! SO MUCH FUN!! The most gratifying surprise of the book was “Just West of Clovis.” I was braced for a trite or predictable “western.” Instead I found a succession of humorous hyperbole alternating with authentic, dry understatement sustained in an unbroken narrative. An image or phrase that evokes some element of life on the frontier in a familiar yet fresh and creative way awaits in nearly every sentence. I look forward to reading this tall tale again soon, perhaps aloud to a literature or writing class. 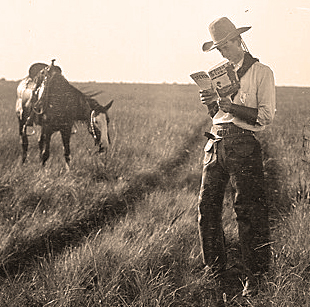 I haven’t read a western since my early teens but Ralph James’ West of Clovis was enjoyable. “Just West of the Clovis” by Ralph D. James – Though I’ve never read a western, the tone of the main character’s dry wit captured my heart. A pleasant surpise for me was “Just West of Clovis” by Ralph James. It would never occur to me to pick up a book with a Western theme, but this is a very cleverly written piece with a lot of hidden humor. Great collection of stories! Entertaining, heartwarming, and inspiring. I particularly enjoyed Just West of Clovis! …a funny, western tale that was far-fetched, but totally engaging. …surprisingly, the two Westerns…which I never would have picked up on my own. “Just West of Clovis” was a unique story-within-a-story that somehow worked for me. 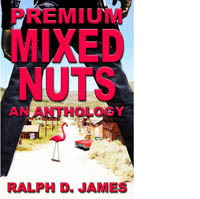 I was surprised how much I liked the western “Just West of Clovis” by Ralph D. James. I don’t think I’ve ever read a western prior to this. But these two are making me rethink that choice. I would even consider buying a full-length version of Clovis, Western though it be. Well, all that and $4.50 might get me a cup of coffee. I’m not quitting my day job… Oh, wait. I don’t have a day job. Maybe I should start writing something else.